Tagged with HTS, LSBF, T4 latest, Tier 4, UK. The London School of Business and Finance (LSBF) has had its Highly Trusted Status (HTS) reinstated, allowing it to recruit international students once more, following a suspension in June. 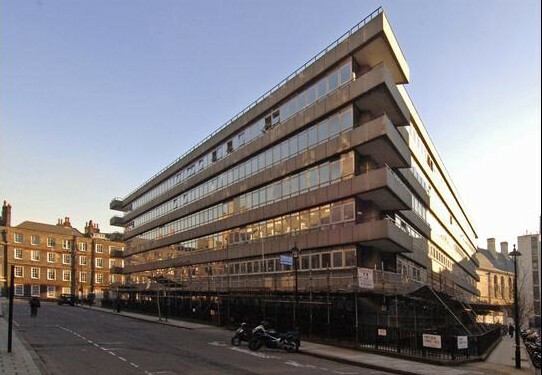 LSBF Campus in New Court, central London. Photo: Chernenkaya. “LSBF has now been reinstated on the sponsor register as a Highly Trusted Sponsor, which means that we can continue to recruit and sponsor overseas students with immediate effect,” the school said in a statement on its website. The reinstatement of the HTS and the Tier 4 licence enabling it to issue visas to international students means that applications which were placed on hold for the duration of the suspension will now be processed, it added. Any international students currently enrolled at the college who have returned home for the summer holidays will now be able to return to the UK to continue their studies. “The reinstatement of our sponsor licence is excellent news for students as they return from their summer holidays or start their new courses,” Maurits van Rooijen, Rector and Chief Executive at LSBF, said. A press spokesperson declined to comment further on the three-month suspension and how it impacted on their business. LSBF was one of 57 private colleges in the UK to have its Tier 4 licence suspended by the Home Office in June pending investigation into suspected exam and visa fraud. The investigation, which also affected three higher education institutions, was launched after a BBC documentary uncovered systematic cheating on an ETS TOEIC exam at four colleges in London. So far 25 colleges have had their licences revoked and three have surrendered their licences. Two of those that have lost licences – Pharez College and Vernon Community College – were not included in the original list of 57. Students are still waiting for refunds in Feb 2015 for their deposits made in 2014 made for intake following license being revoked. They always blame their bank for the errors – in 2015 banks do not make so many errors in a simple refund transaction.